This season it’s been all about the statement sleeves. 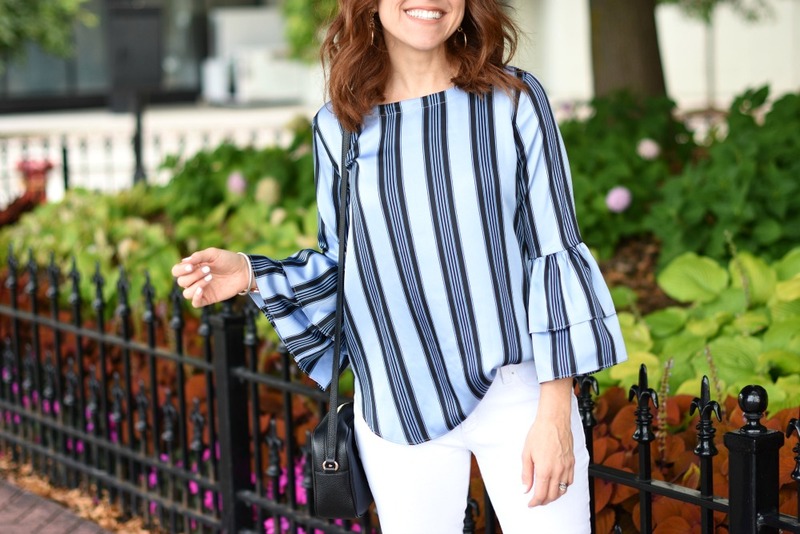 Big bell sleeves, major ruffles, all of the gorgeous feminine and yet bold styles. They’re continuing in major fashion this Fall so it’s a good opportunity to test them out if you haven’t yet. 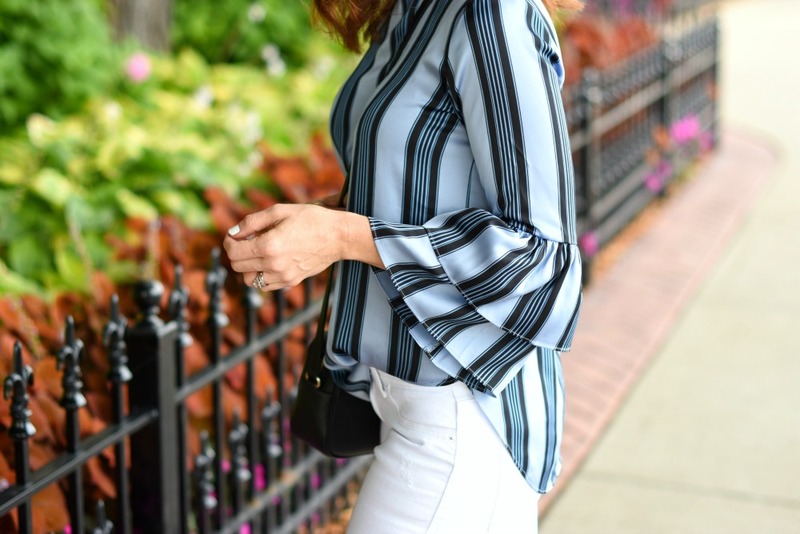 Plus, statement sleeves add major personality and instant “compliment making” vibes to your look. Yes, please. 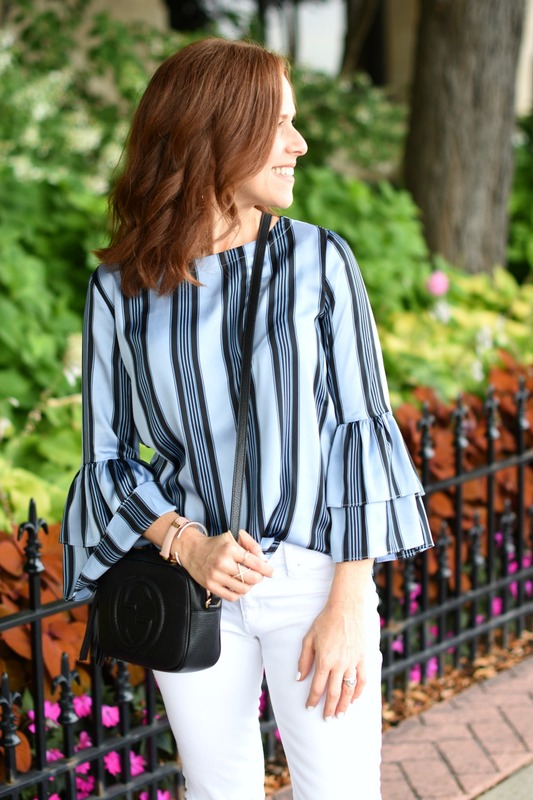 Check out below how I styled these statement sleeves (and how cool are the vertical stripes?!) 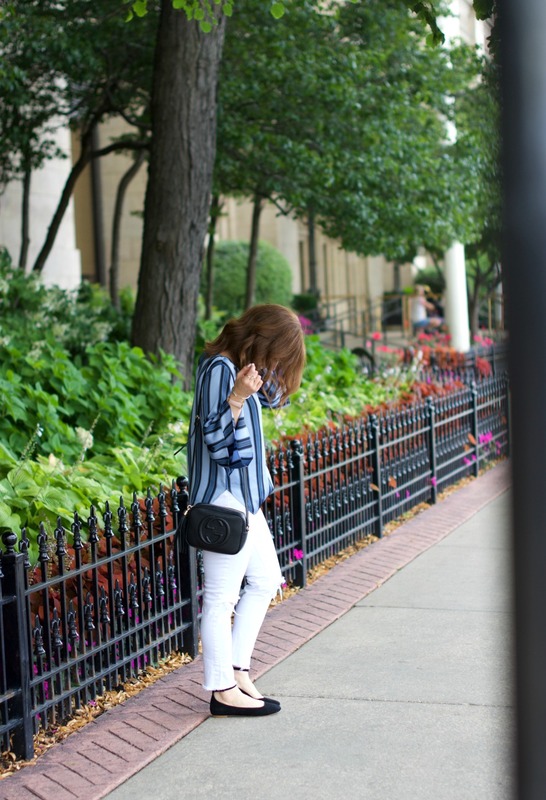 that I wore while in Chicago for more of a summer to fall transitional outfit. At the same time, you could totally wear this with black denim, or tucked into a pencil skirt or pants for more of a professional vibe. I’m constantly surprised by how often I grab for this purse. You could of course go for a tote or a roomier satchel if you need it, however for an afternoon out, this gucci disco bag always works. 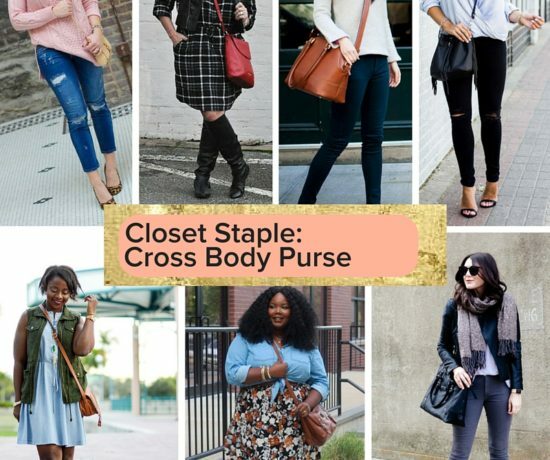 For recent outfits, see here and here. Photo credit: thanks to Heidi of Wishes & Reality for snapping these while in Chicago! 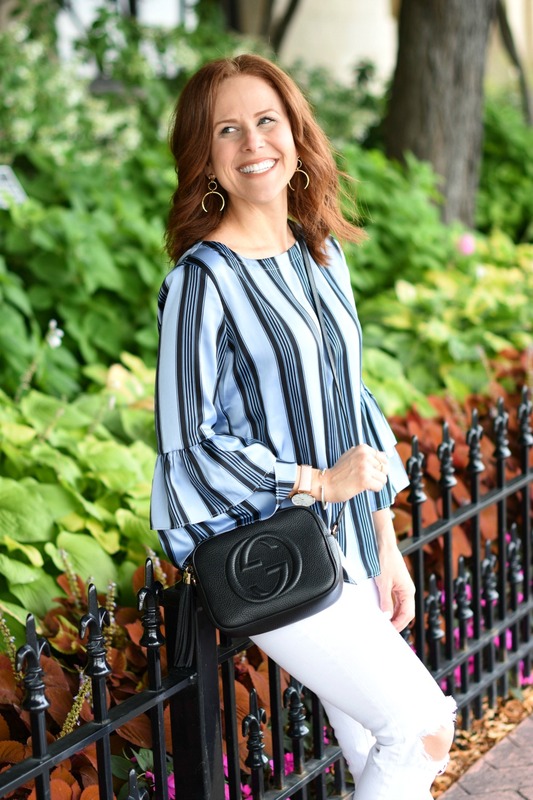 Statements sleeves are so easy to add to any outfit. 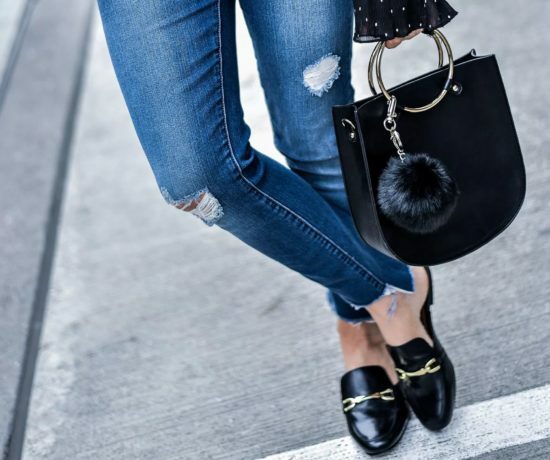 They make great additions to just a basic outfit for something a little bit different. 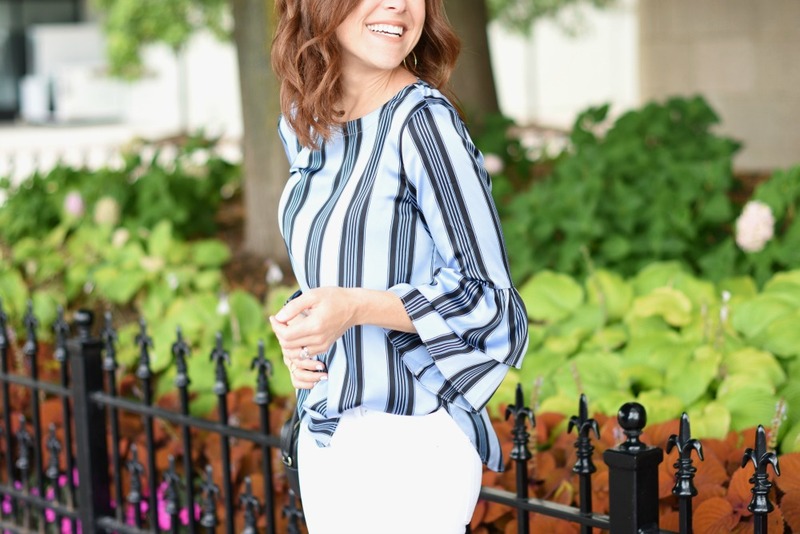 Totally agree — loving how they add that fun element to your outfit! 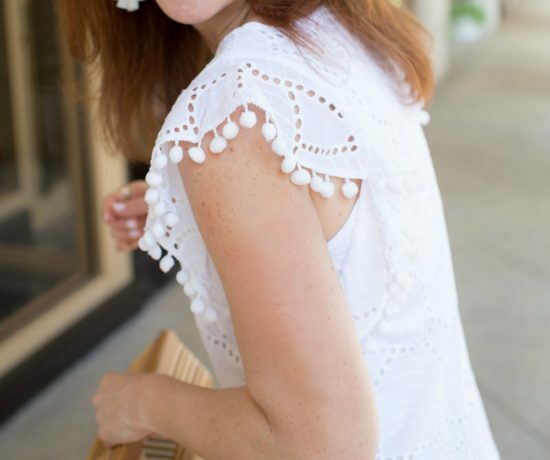 I love the simple but subtle way the statement sleeves are incorporated into this top! The stripes are fun too! 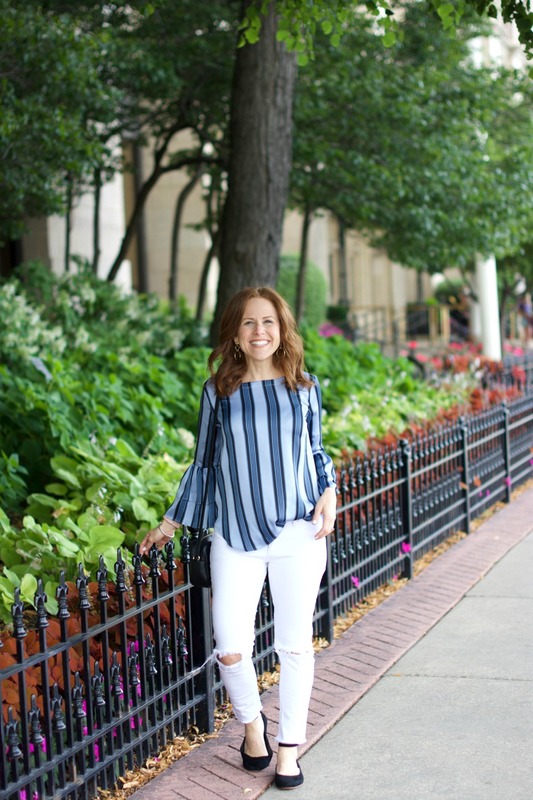 LOVE seeing you in this top – it looks so great with white jeans & is one of my favorite recent purchases too! We totally need to make a reunion trip happen… that was SUCH a fun weekend! And, your photo skills are amazing… thanks again!